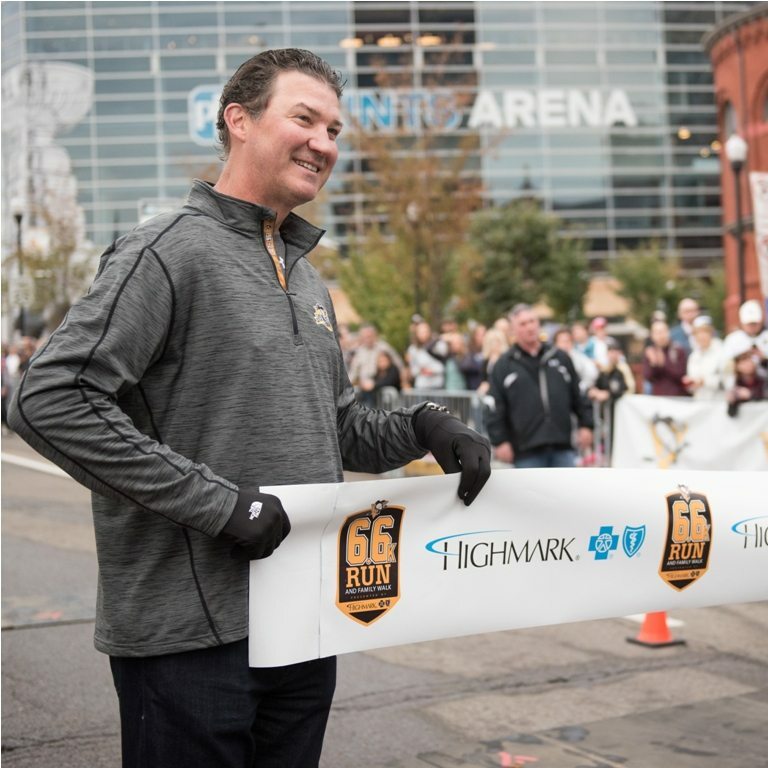 Celebrate the start of the hockey season by participating in the Pittsburgh Penguins 6.6K Run and Family Walk presented by Highmark! 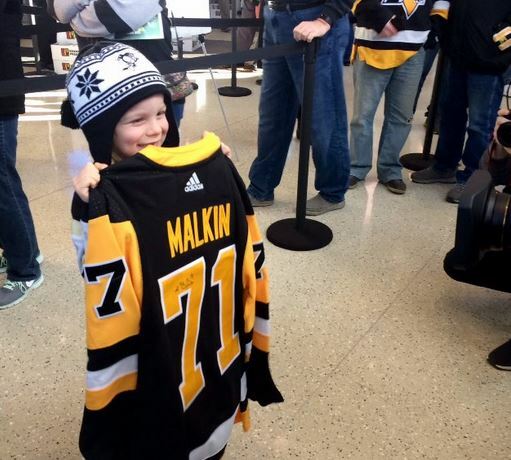 A team tradition since 2010, the Pittsburgh Penguins Free Game for Kids gives our youngest fans an opportunity to attend a pre-season game at PPG Paints Arena, as a way of thanking them for being an integral part of our success. 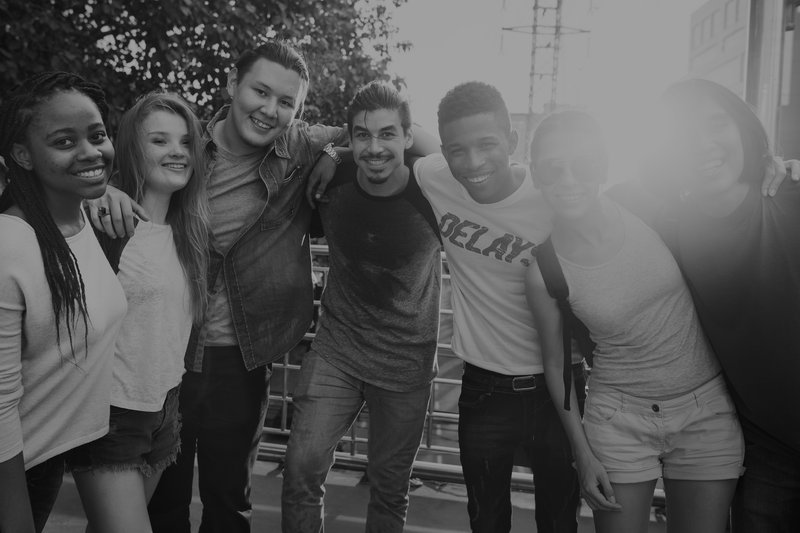 Focusing on the importance of prevention education, the Heroin Outreach Prevention and Education (HOPE) Initiative teaches students about opioid abuse and provides an understanding of how abuse can be prevented. Part of a league-wide initiative to raise awareness and funds for cancer research, Hockey Fights Cancer is celebrated during one select gameday and throughout the month of November. 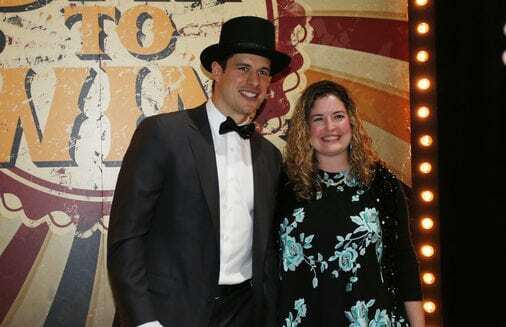 Treat your sweetie to a swell time this Valentine’s Day with tickets to the Penguins Foundation’s 2nd Annual Night of Assists charity gala proudly presented by Highmark! On February 14, dance the night away during this exclusive event at PPG Paints Arena, while supporting the Foundation. Last season’s inaugural event SOLD OUT, so reserve your tickets today to join the Penguins at our next Night of Assists! 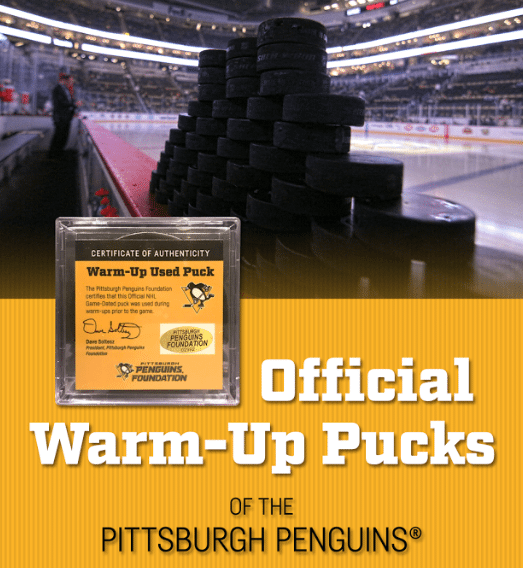 Get your very own piece of the 2017.18 season with a game-dated puck used in warm-ups by your favorite Penguins players at PPG Paints Arena! 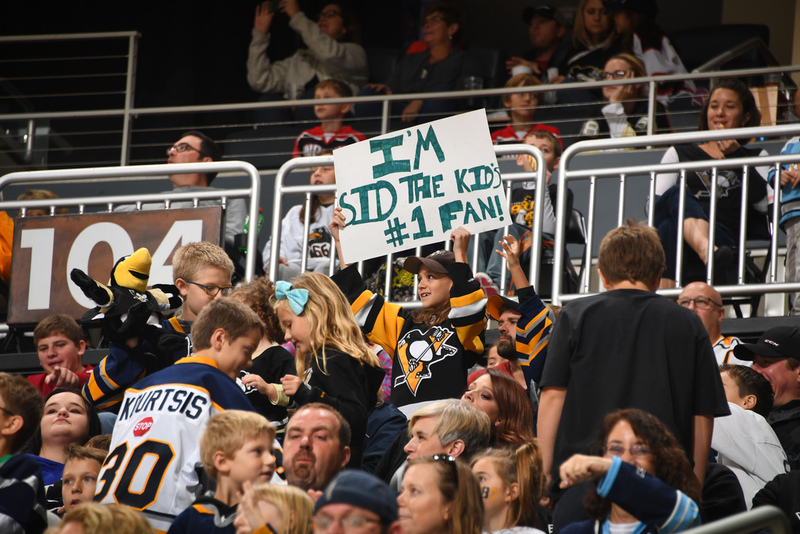 Introduced during the 2017.18 season, a limited inventory of pucks are available online to support the youth initiatives of the Penguins Foundation. 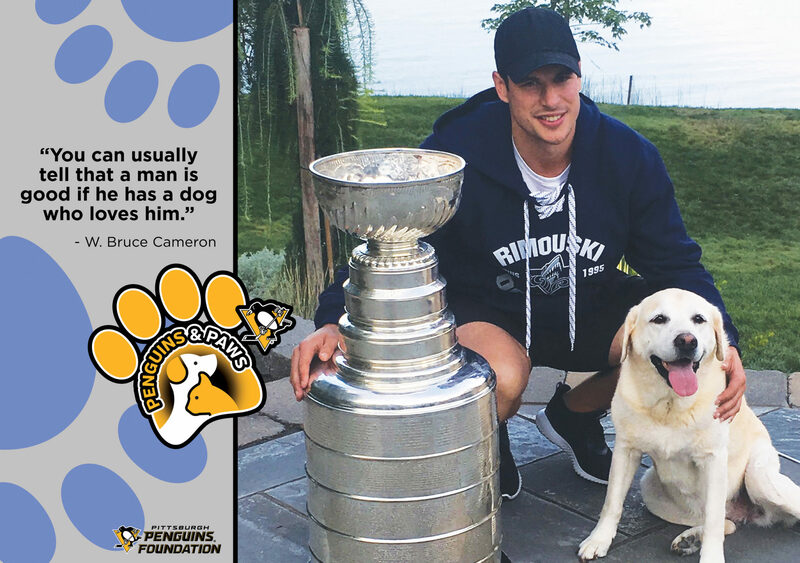 The Penguins Foundation partners annually with Humane Animal Rescue and Rachael Ray Nutrish to create Penguins & Paws, the team’s annual charity pet calendar. Get yours each season to support this purrrrfect cause! 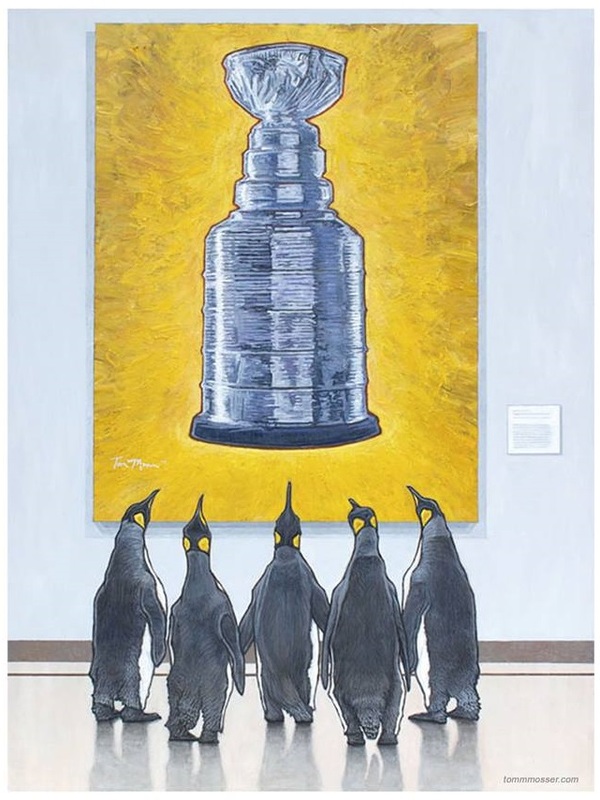 In honor of the long and victorious history of the Pittsburgh Penguins, Tom Mosser painted the “Penguins at the Museum” piece, which is a part of his “Museum Series”. These limited edition prints are available for purchase! 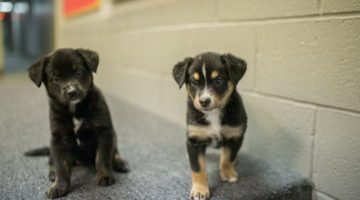 Each season, in partnership with Rachael Ray Nutrish, the Pittsburgh Penguins Foundation collects pet supplies, food and toys for adoptable animals housed at Humane Animal Rescue. 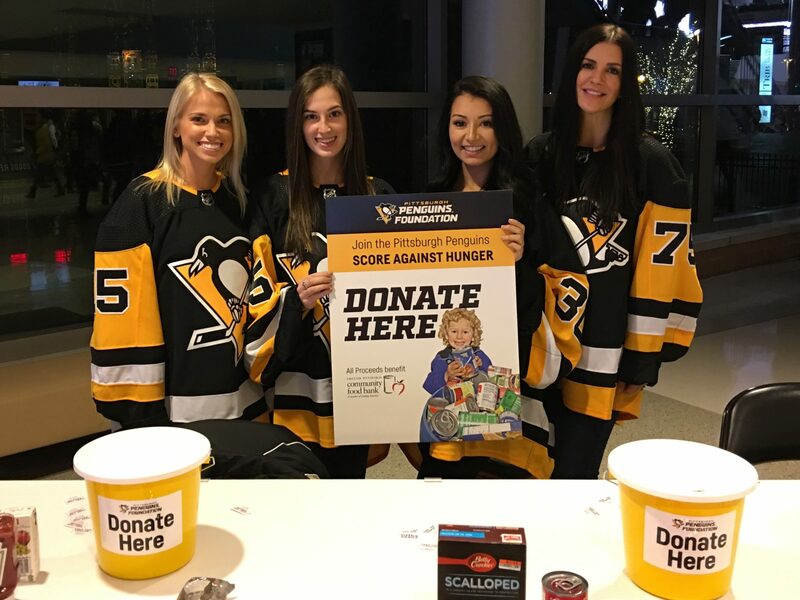 Assist the Penguins Foundation's annual Score Against Hunger Food Drive on World Food Day! 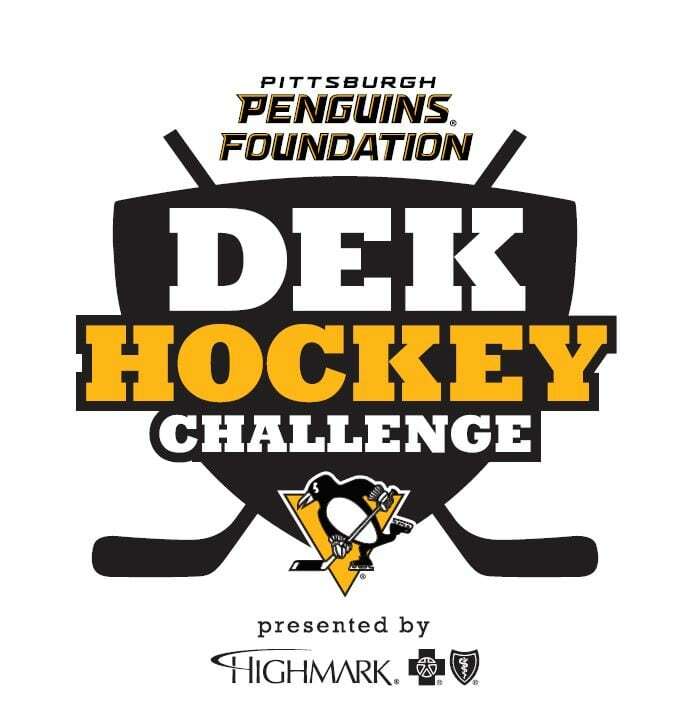 Donations of canned goods and non-perishable food items will benefit the Greater Pittsburgh Community Food Bank. 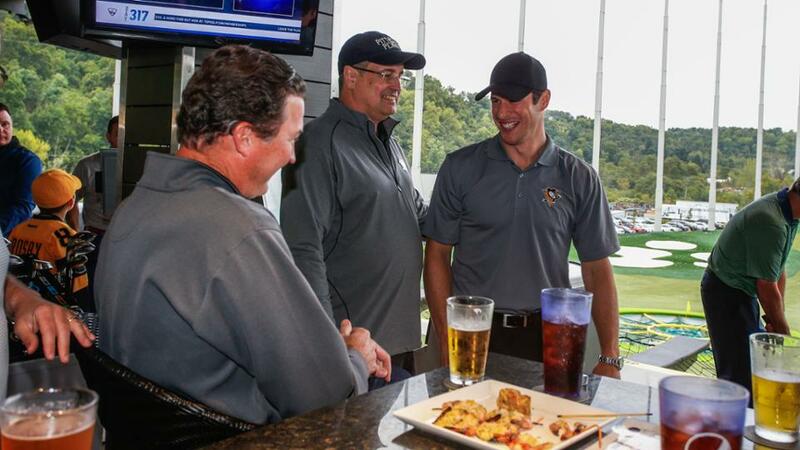 Spend a day golfing with members of the Pittsburgh Penguins organization in support of the Penguins Foundation's scholarship program and charities of the Penguins Alumni Association! Twenty seasons of historic locker room nameplates are now on sale in the Vault! From Mario’s return to the ice to Crosby’s first goal to Stanley Cup victory seasons, nearly 12,000 nameplates await in the Vault. Order your set today to hold a piece of history in your hands forever. 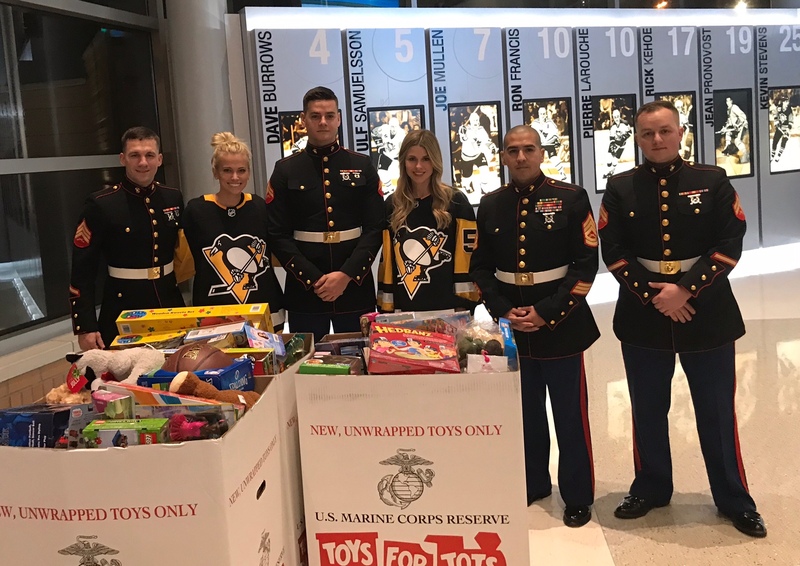 Thank you fans for helping us raise over $27,000 for Toys for Tots and for your tremendous donation of over 1,200 toys!